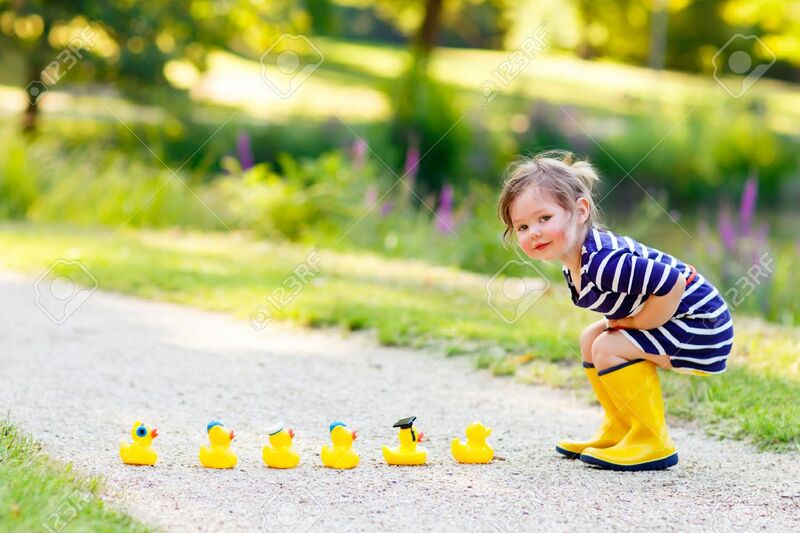 Adorable Little Kid Girl Playing In Forest Playground With Yellow Rubber Ducks. Cute Child Wearing Rain Boots. Active Leisure With Kids. Royalty Free Fotografie A Reklamní Fotografie. Image 54792682. Reklamní fotografie - Adorable little kid girl playing in forest playground with yellow rubber ducks. Cute child wearing rain boots. Active leisure with kids. Adorable little kid girl playing in forest playground with yellow rubber ducks. Cute child wearing rain boots. Active leisure with kids.